Chit Chat and Small Talk: Farmyard Slam! I've just completed a new addition to my Slam! game collection. Introducing Farmyard Slam! I'm really excited about this one because my games keep evolving, and this one has a couple of great extra features. And, since this one isn't holiday themed, I can play it all year long! I can't wait to share! Aren't they cute??? 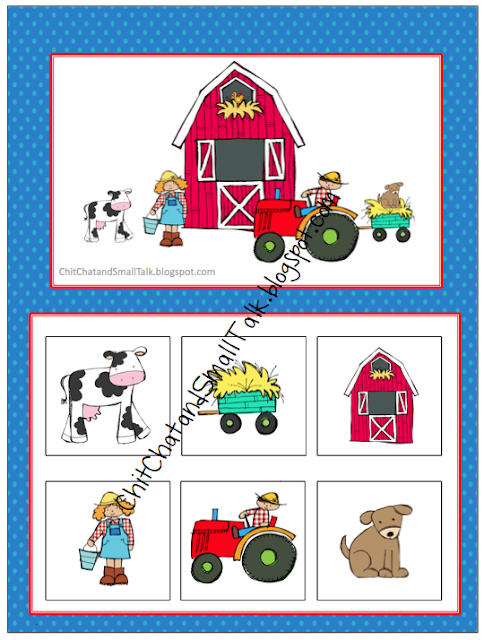 I used the On the Farm collection from KPM Doodles, which couldn't be more perfect! Each card contains a symbol for the category, and color or feature symbols so pre-readers can give the directions, too. So what are the bonus features? 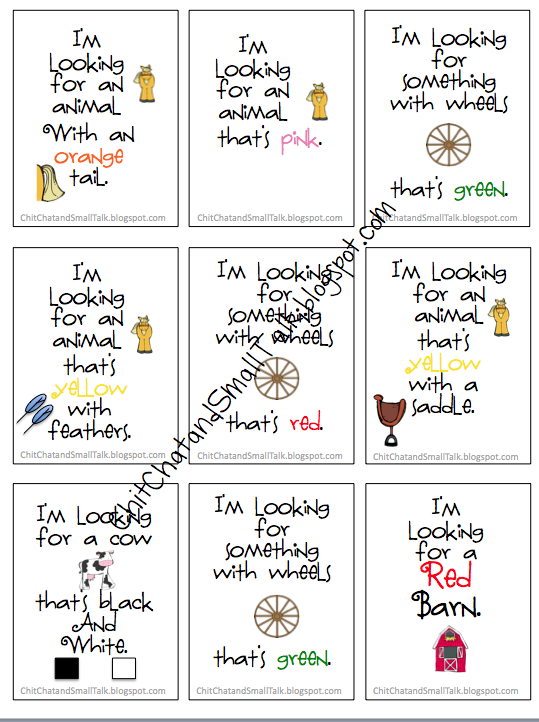 You can use this activity to work on following auditory directions that contain categories and features, but you can also use it for other goals, too. This scene is at the top of the blue board. You could use this to work on prepositions such as in, on, next to, behind and between. 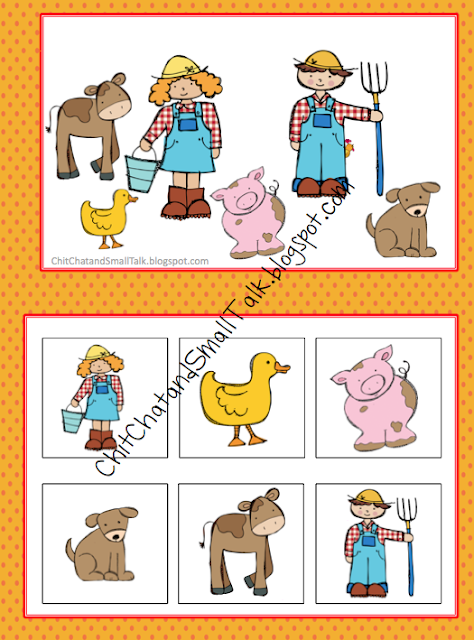 You could have each child tell you three things about his or her farmyard scene using auxiliary and -ing verbs. Or how about pronouns? Each scene contains plenty of opportunities to work on these concepts and others. Another fun bonus feature is a little hide and seek game. 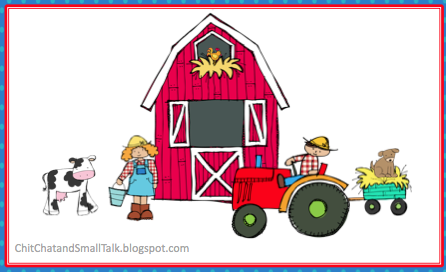 Rascal Rooster is hiding somewhere in each farm scene. Can you find him? He's pretty easy to find in this scene, but he's pretty tricky to find in others. Go back and look for him on the orange game board...you know you want to! That is, if you haven't already! So many ways to play! And so many goals that can be targeted in one simple game. Love that! You can find Farmyard Slam and all my other Slam! games on my TpT site. To go directly to Farmyard Slam! click here. Organized at home means organized at work!